for a good weekend you’ll be needing three things: spending time with your best friends, making good food and enjoying your life. so my last weekend was like that. i’ll share the pizza recipe here first, the fruit salad and the chicken meatballs were also marvelous. adapting from the recipe here. 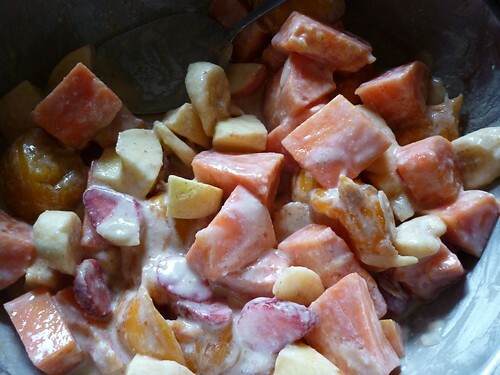 it’s a very basic recipe, but it’s a great taste. 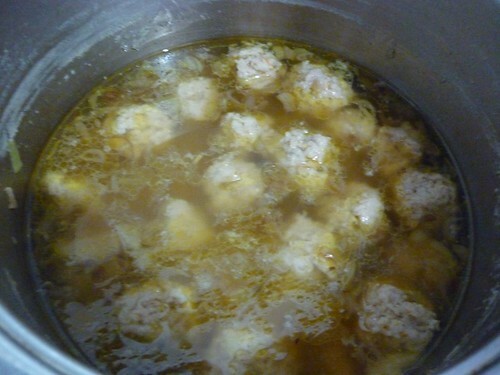 1. crust: mixed the crust ingredients using your hand, until it’s well blend and firm, leave it for 7 minutes, make it to a round ball, put it into a big bowl and cover with clean wet cloth. refrigrate for 1 hour. take it out. brush your pizza pan with olive oil. flatten the dough to your pizza pan (should make a thin crust for 32 cm-pan). 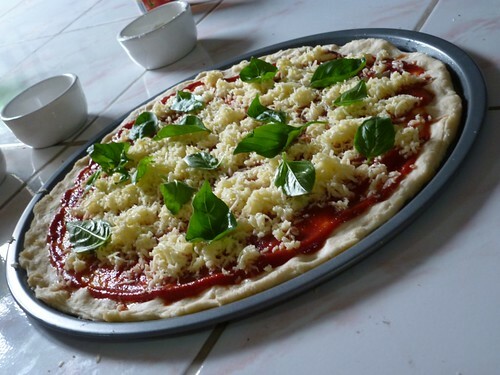 2. cover your pizza with tomato puree, drizzle with oregano, mince garlic, mozzarella cheese and fresh basil. 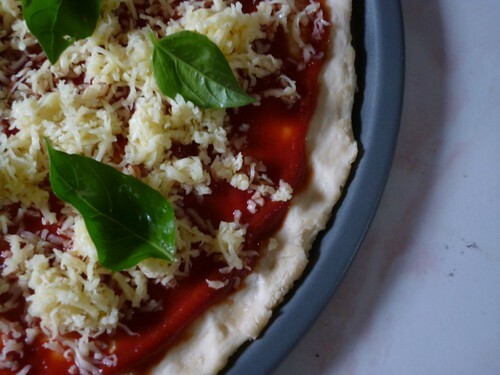 3. put the pizza in the oven of 300 C for 5 minutes, until the cheese and the crust golden brown. 4. cut and serve warm. 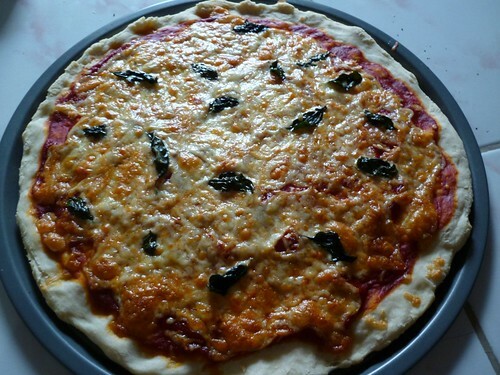 the result was very delicious, we all promised ourselves to make pizza from scratch again and never buy one ever again, because it was so good even for our first time trial. we make a trial second batch of mini calzone with a muffin pan, it was damn good we don’t have time to photograph them. will also making this in the future. i made a third batch the next morning and even better pizza. 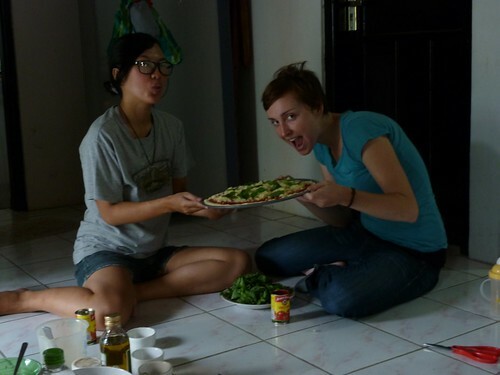 i’m crazy with this pizza making now, especially when fresh basil is cheap and available in our local supermarket. it looked so good even before we baked it. I couldn’t resist….